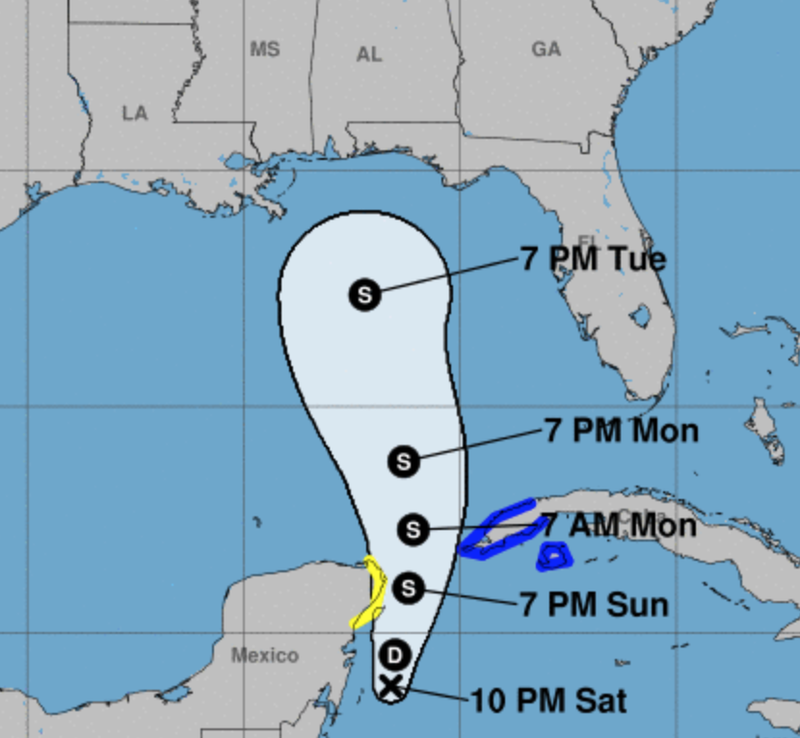 MSE Creative Consulting Blog: Potential Tropical Storm Michael? I'd like to think it is for my retirement (it isn't, names are determined years in advance) since NHC is forecasting Tropical Storm Michael to form tomorrow. D = tropical depression. S = tropical storm. I'll post on this again tomorrow late morning or early afternoon.